You can make an immediate, direct, positive impact on a military family by helping a military spouse find work in their profession. Say thank you by flexing your network to help a military spouse make a professional connection. November is Military Families Appreciation Month, and the 2014 Armed Forces Insurance Branch Spouses of the Year (Branch SOYs) want to help everyone, everywhere participate in thanking and honoring military families. 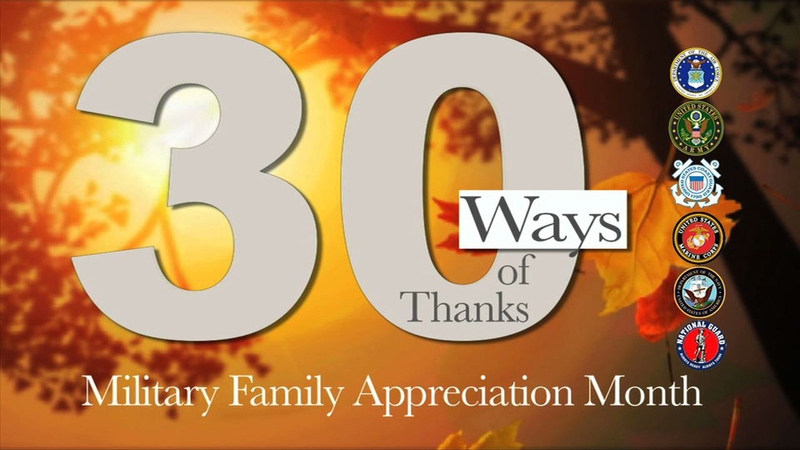 So the Branch SOYs created #30Ways of Thanks to help. Each day in November, the Branch SOYs will release a video with an action item that people around the country can participate in virtually or locally, individually or in groups. Participants can hash tag #30Ways so that their messages, photos, or videos are spread far and wide. Hash tags #GratefulNation and #MilFamsRock can also be added as a short-hand way to say “You are amazing, military families!” Best of all, the entire #30Ways video collection will be stored on the Branch SOYs' YouTube channel so that it can be repeated in Novembers to come, or whenever someone is looking for a way to say “thank you” to military families.